Charles Willson Peale, Staircase Group (Portrait of Raphaelle Peale and Titian Ramsay Peale), 1795, oil on canvas, 89-1/2 x 39-3/8 inches / 227.3 x 100 cm (04:26). The experts are Dr. Harris and Dr. Zucker. Duke Kunshan University (DKU) is a new joint venture university founded by Duke and Wuhan University and located in Kunshan, China. Duke students and faculty members describe the types of learning experiences and opportunities DKU will offer. Duke President Richard H. Brodhead, DKU Chancellor Liu Jingnan and Executive Vice Chancellor Mary Brown Bullock share their visions and expectations for DKU. For more information: www.dku.edu.cn. How to Use "Picture Book Maker"
If you are a delegate at Teched Europe 2012 that attended this session please submit an evaluation. Note that you will need to login with the same credentials you used when registering for the event. 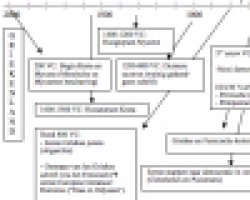 Dit document geeft een overzicht van de hoogtepunten van de Grieken, Romeinen en Kelten uit de Klassieke oudheid. Deze handige tijdlijn is gebaseerd op het handboek 'Historia 2'. Students are introduced to the concept of simple tools and how they can make difficult or impossible tasks easier. They begin by investigating the properties of inclined planes and how implementing them can reduce the force necessary to lift objects off the ground. Dr. Stephen Blank, Army War College discusses the New Game in Central Asia as part of a noon-time lecture as part of the Distance Education Class of 2013. 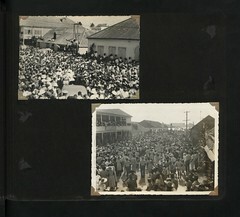 Description: Photograph album donated by Philip Barlow depicting various scenes from life in the Leeward Islands. One of the weaknesses of simple charts for planning and control is that they do not show how tasks are dependent on each other. Network analysis (or critical path analysis) seeks to overcome that drawback, particularly where large or specialist projects are concerned. The critical path is found as a result of the analysis of the network. There are many computer software packages which can help a manager to carry out a network analysis.